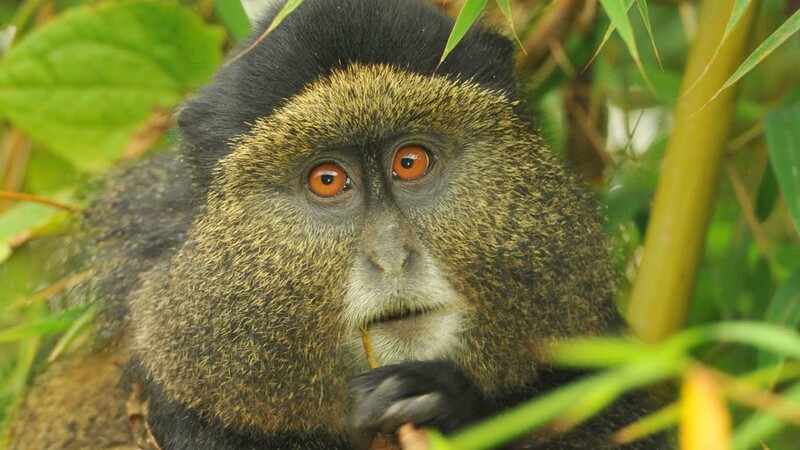 Our 3 Day Mgahinga gorilla trekking safari will take you to Mgahinga National Park in south western Uganda. Small and still marginalized by tourists and tour operator, Mgahinga National Park is the only park in Uganda where mountain gorillas co-exist with Golden monkeys hence a saying that its where “Gold meets silver”.Embrace Africa gorilla vacation organizes gorilla tours to Mgahinga and our 3 Day Mgahinga gorilla trekking safari is meant for those who do not have enough time on their disposal but want to trek mountain gorillas. Our 3 Day Mgahinga gorilla trekking safari starts and ends in Entebbe with stops at the equator crossing for photography. You will be picked from your overnight hotel in Entebbe or Kampala by our driver guide who will brief you about your trip, make sure that you have all the necessary gear and paper work. You will then drive to Mgahinga National Park in southwestern Uganda with some stopovers at Mpambire royal drum makers to witness how drums are made from skins and wood. You will then proceed to the Equator crossing and then to Mbarara town for Lunch at Agip Motel or Igongo Cultural Center depending on the time at your disposal. After lunch you will take a scenic drive to Kisoro district starting with the flat lands of Ntungamo, and the rolling hills of Kabale to terraced hills and meandering roads to Kisoro district. You will arrive in time for a short relaxation, dinner and overnight at the lodge.